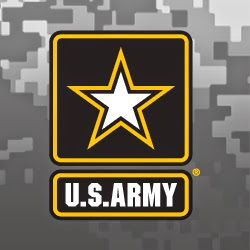 The U.S. Army has expanded a program that encourages immigrants with certain language and medical skills to enlist by offering them a fast track to United States Citizenship. The Military Accessions Vital to the National Interest, known as MANVI, will double to 3,000 enlistments in the fiscal year ending September 30, and to 5,000 in fiscal 2016. The program is currently capped at 1,500 immigrants, according to Fox News Latino and the Wall Street Journal. Typically, participants are sworn in as citizens once they have successfully completed basic training, without having to first obtain a green card or establish permanent residency. This makes the MANVI program the fastest path to United States Citizenship available. Hank Minitrez, an Army spokesman, told the newspaper that the program had been “extremely successful in filling our ranks with highly qualified immigrant soldiers who fill critical shortages.” Until 2014, MAVNI was limited to people with legal permanent residence in the United States, but now they have opened the program, as of January, to undocumented immigrants who had been granted deportation protection under the 2012 Deferred Action for Childhood Arrivals (DACA) policy. An Army spokesperson said that forty-three DACA recipients had enlisted as of April 2, and the first will report to basic training late this year. At the Shulman Law Group, LLC, we take immeasurable pride in assisting military families, to educating our clients, particularly those who are DACA recipients, about immigration-related benefits of enlisting in the U.S. military, and to enlightening family members about the immigration benefits of having a loved one who has previously or is currently serving in the military.